The name Lindley comes from the old English text, Lind - meaning tree and Ley - meaning clearing. The shorter version, if you will, is “Keeper of the Wood”. In Saxon times surnames derived from physical features of land; such as hills, trees and streams. The name Lindley occurs at least four times in the West Riding of Yorkshire, Old Lindley and Nether Lindley (between Elland and Huddersfield), Lindley in the ancient parish of Otley and in Healingly. The Lindley's took their name from the hamlet of Lindley near the township of Otley now represented by Lindley Hall, a substantial farm on the northern side of the reservoir of the Washburn Valley. The Lindley's were certainly a big land and property owning family in Yorkshire, Nottinghamshire and Kent, this is clear from the various wills which mention the above places. They married into many arms bearing families as can be observed from various pedigrees. The Lindley name can be traced to Otley and <?<span>Cheshire, England. The Lindley name first appears in 937 AD by the Archbishop of York regarding King Athelstan (924 – 939); after the battle of Brunanburgh. Athelstan was the son of King Edward of England (899 - 924), and grandson of Alfred the Great. The battle of Brunanburgh was a crucial turning point in the development of England. It is believed that the Lindley crest was given by King Athelstan. Lindley appears again in 1066 AD at the Battle of Hastings before the Norman Conquest of England. The first specific Lindley to appear in writing was Thomas de Lindley in the York Assize Court Rolls in 1204, and his son William in Otley in 1292. William de Lindley was betrothed to Alice Fulk of Wakefield in the 1200s. 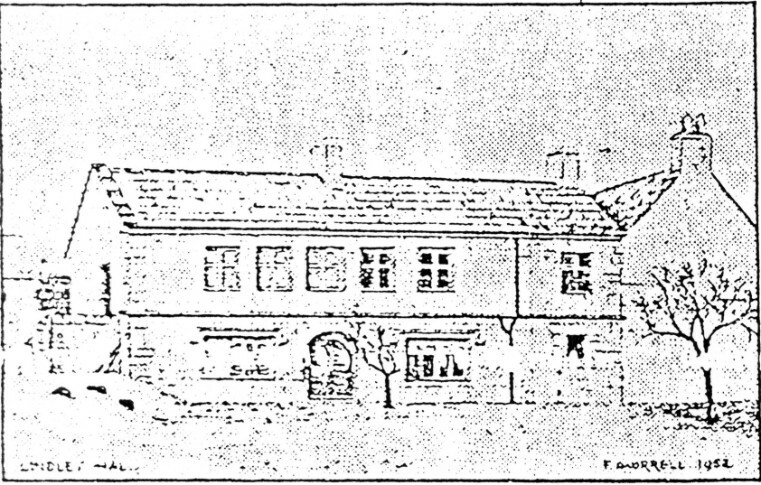 Alice was well connected as her father was a manservant to the Archbishop of York, as a result of his connections to the Archbishop, Fulk was able to purchase half the Manor of Farnley, as a wedding present for Alice and his son-in-law William de Lindley. 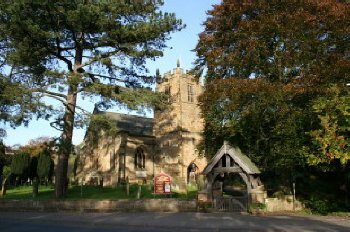 William de Lindley became Lord of Farnley a township to the east in about 1230. This marked the rise to prominence of the Lindley's who throughout the middle ages were to become an important family in Yorkshire. 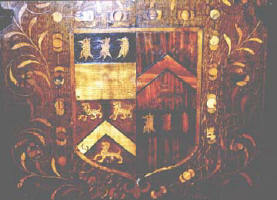 The Lindley's continued as Lords of the Manor of Leathley until the 1524. In Thomas Lindley's will of 1439, he leaves his youngest son, Percival his land and property in Lindley. 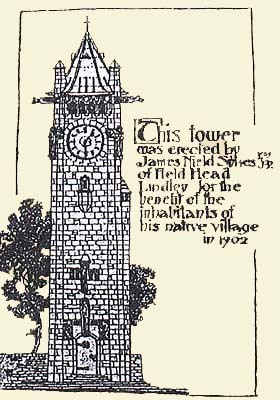 Percival is mentioned in records of Otley dated August 14th 1439; that he holds land and tenements in Lindley by Military service. 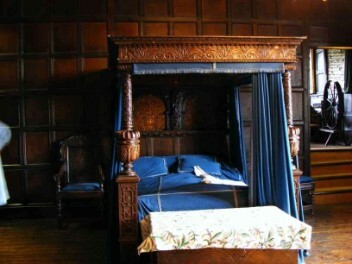 Most influential people of this period had some connection with the Military such as Lords of the Manor who, because of the land and property they owned, were expected to provide men and arms in support of the King. Thomas's will of 1524 also shows that he had two heiresses, daughters, Isabel and Elizabeth. 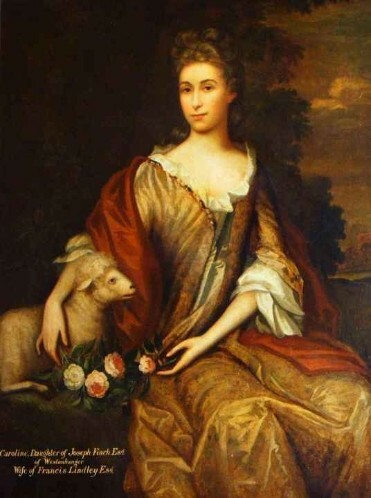 The two daughters both married into arms bearing families, Isabel into the York family of Palmes and Elizabeth into the family of Everingham. 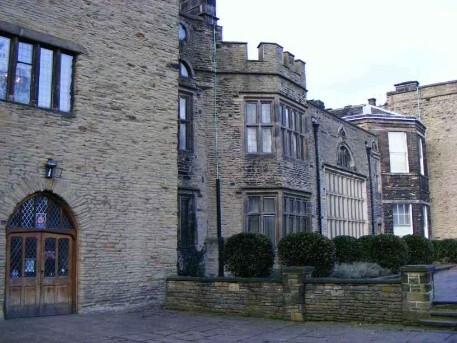 On the death of Thomas in 1524 the Palmes family, through the marriage of Isabel to Bryan Palmes, became the principal owner of the Manor of Lindley. However, Bryan Palmes only lived for three years, leaving his son Francis to continue the Palmes line at Lindley. RE: The rubbing of the Brass at Oatly below. The original Arms of the family were “Argent on a chief Sable 3 Griffin heads erased Argent"; the three branches of the family had differences to distinguish them from each other. This is a simple design and almost certainly of an early period as shields tended to be of a simple pattern in earlier times. 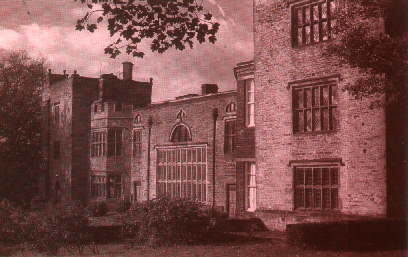 In 1681 Francis Lindley was the first Registrar of the West Riding and owner of Bolling Hall in Bradford. He married Carolina Finch and was the Sheriff of Lancaster. 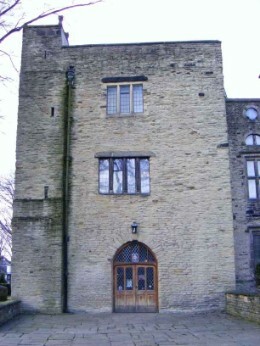 A glass door leading into the garden contains the Lindley crest; this door may have been/or is the south entrance. The Will of Thomas Lindley of Lindley 1439, mentions his brother Robert as well as Percival. Percival's Will of 1495 mentions land in Skegby and Nottinghamshire and he leaves this as well as personal effects to his son and heir Thomas. Other bequests were also made to the Churches of Otley and Leathley and the Chapels of Stainburn and Farnley. In 1513 Thomas exchanged land in Stainburn for the Abbeys (Fountains) tofts in Otley. 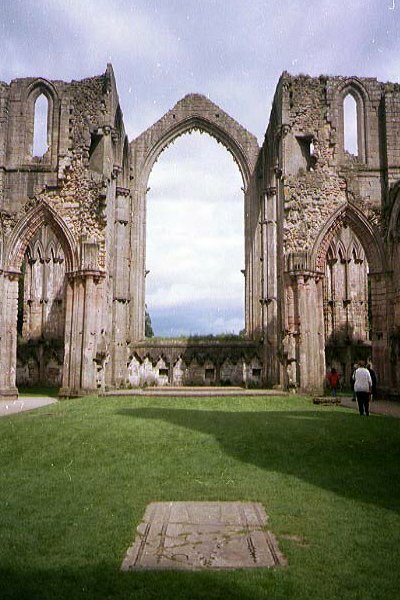 Fountains Abbey Leasebook dated July 1st 1538 Henry VIII (Yorkshire Archaeological series ref 140 Doncaster Library) has a reference on page 258 to the appointment of a steward of court and auditor. 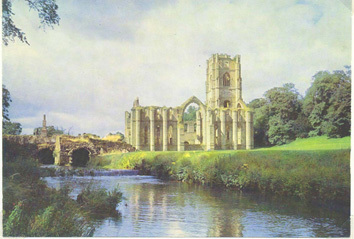 A grant by Abbot Marmaduke and the Convent of Fountains to Christopher Lindley of Leathley for the faithful service he has done in the past to the abbot and convent and their monastery, of the office of steward of courts of the manors, lands and tenements in Yorkshire appoint him auditor of stock of the monastery and to hold this office for life. The illustration is from a very careful rubbing of the Oatly Brass taken in 1895. The Otley brass is one of the most well known monumental inscriptions of any church in Yorkshire, if not the country and one that has been recorded many times. Observe the Lindley crest in the upper left corner. William de Lindley became Lord of Farnley a township to the east in about 1230, the Lindley's continued as Lords of the Manor of Leathley. In 1524 Thomas passed with no male heir so Elizabeth married into the family of Everingham and Isobel married Brian Palmes of York, becoming the principal owner of the Manor of Lindley. During this time the Lindley's became established at Otley and are named in many records. Brian Palmes passed three years later so Isobel then married Sir Thomas Johnson of Northumberland. In the lower part is Francis Palmes recumbent on a mattress, one end of which is curled up to form a pillow for the head and the hands raised in prayer. By his side is a sword. 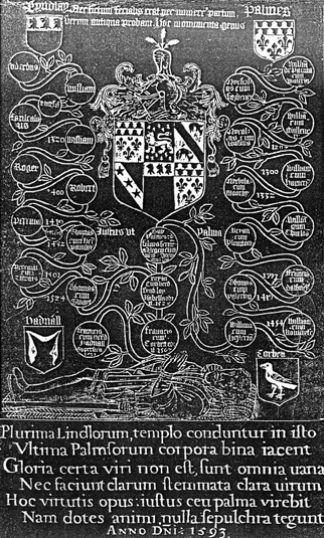 From this figure springs a tree, with roundels bearing the names and recording the various alliances of the Lindley and Palmes family; these unite with the marriage of Brian Palmes and Isobel Lindley, daughter and heiress of Thomas Lindley. The town of Middleham is part of Hang West Wapentake in that part of the North Riding of Yorkshire known as Richmondshire. 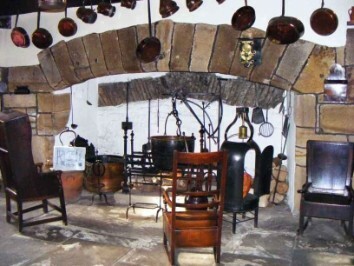 It is located in Wensleydale, between the Ure and Cover rivers, which join just beyond Middleham parish. The castle at Middleham controlled the upper reaches of Wensleydale and the road from Richmond through Coverdale to Skipton. 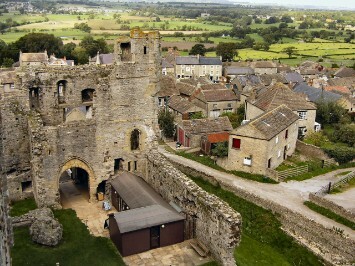 Described as "the smallest town in Yorkshire," Middleham is known as a center for training race-horses, and of course for Middleham Castle, whose ruins stand on the south side of the town. 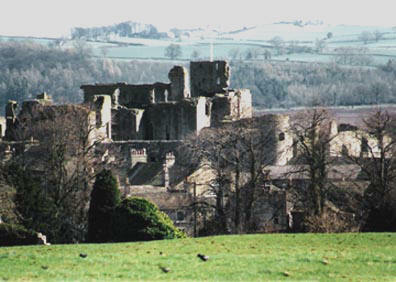 From the time the first castle was built, in the late eleventh century, until the late fifteenth century, Middleham Castle served as an important locus of local and regional power, and -- despite no longer being occupied by powerful local lords it continued as an administrative center through the sixteenth and early seventeenth centuries. Although the castle never had to withstand a siege and was directly involved in actual civil war in only a limited fashion, it was in the center of national affairs during the Wars of the Roses as the headquarters of the powerful Neville earls of Salisbury and Warwick and of Richard, Duke of Gloucester, later King Richard III. Edward II Viscount Loftus by his marriage to Jane Lindley of Leathley (daughter of John Lindley of Leathley), so here again we have proof of the Lindley influence in Yorkshire. Elizabeth Lindley was betrothed to James I of England, (seen to the left) sometime after The Union of Crowns in 1603. 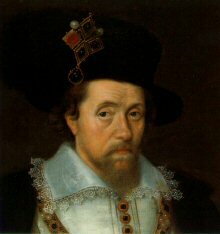 In 1604 the castle was granted by James 1 to Sir Henry Lindley. In Sir Henry's Will of 1609 he mentions the castle at Middleham so there is record of occupation during the Lindley ownership. 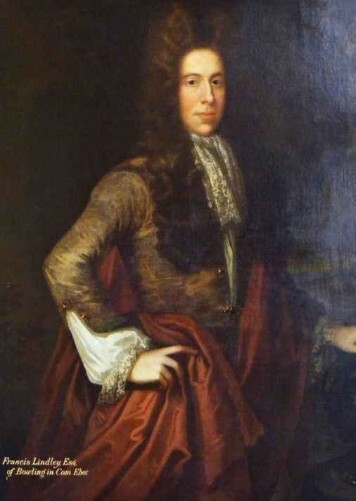 After Sir Henry's death his brother John Lindley of Leathley took over ownership. In 1613 the castle passed to Edward 2nd Viscount Loftus by his marriage to Jane Lindley of Leathley, daughter of John Lindley of Leathley, so here again we have proof of the Lindley influence in Yorkshire. Rudby all Saints' Church in Hutton possesses a pulpit that connects the Lindley family with the church. The Elizabethan pulpit was stripped of paint in 1860, revealing the beautiful intricate inlaid marquetry panelling seen today. The pulpit was given to the church in 1594 by a member of the Lindley family, who intermarried with the Laytons of Sexhow. On the pulpit is a shield in wood. Three griffins heads – LINDLEY is in the upper left and bottom right. A chevron between three talbots passant – GOWER, who married into the Lindley family in earlier times. I'm unable to identify the upper right crest. 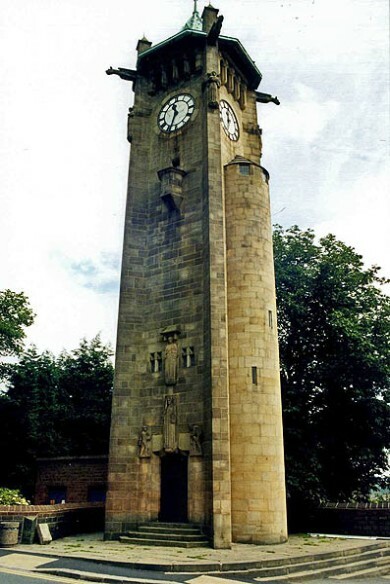 The tower bears the following inscription: "This tower was erected by James Nield Sykes, Esq. J.P, of Field Head, Lindley, for the benefit of his native village in 1902". unnecessary. If you would like one or all of these photos, just email me. Following Henry VIII's split with Rome in 1533/4, England went through a process of loosening its Catholic roots and embracing elements of the new Protestant religion. With the break, came massive religious upheaval and confusion, which was felt throughout all areas of English life for next 130 years. Lindley was laid out in 1875 on the farm Brandhoek and proclaimed a town in 1878. Lindley is named after a missionary, Daniel Lindley, an American Presbyterian minister of the Voortrekkers (European pioneers). John Isacc Lindley born 1605 in England was imprisoned and beheaded for his Quaker beliefs. His sons, Michael, James and Thomas left England and settled in Ireland for a brief period, then arrived in the Americas in the 1700s. Thomas Lindley settled in Snow Camp, North Carolina with his wife Ruth Hadley. He was born February 25, 1706 and died Sept 14, 1781 and both Thomas and his wife are buried at the Spring Meeting cemetery in Alamance County. Thomas built a gristmill in Alamance County in 1755, that is still in operation today by descendants. Thomas Lindley died on the last day of the battle of Lindley's Mill, however, his death wasn’t due to the battle, nor did he participate. James Lindley (April 16, 1681 - October 13, 1726) arrived in Pennsylvania on August 3, 1713 and brought with him wife Eleanor Park and four children. James purchased 200 acres of land in New Garden in 1713, and 400 acres in London Grove in 1722. In 1726 he purchased another 600 acres. In the deed it is stated that he was a blacksmith. 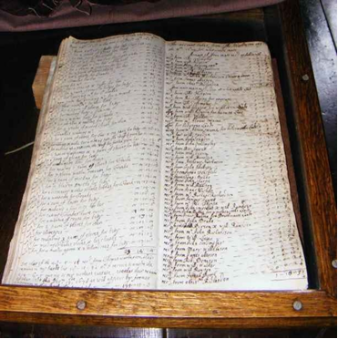 They had 12 children and a handwritten will is on file in Chester County, PA. Unfortunately, I have not been able to locate any information regarding Michael Lindley. William Lindley of Allerton died in 1789 and his original Will is in the Borthwick Institute at York. Aquilla Lindley (1811 - July 9, 1901) is buried at a cemetery in once was Mt. Hope, now called Silk Hope, N.C. Aquilla has a very interesting epitaph on his marker at the gravesite. It reads as follows, "BEHOLD DEAR FRIEND AS YOU PASS BY, AS YOU ARE NOW SO ONCE WAS I"
William T. Lindley (July 29, 1846 - May 2, 1918) was a huge landowner and elected Sheriff of Douglas County, GA in 1881. William stood up for what he thought was right and never stopped short of letting his voice be heard. In June of 1882 he personally brought suit against the town of Douglasville, GA because he thought a trial was not legal. He was a very harsh sheriff and could be pretty mean if you broke the law. Lindley Park in Greensboro, N.C., was the site of an amusement park that opened in 1902, a unique cultural phenomenon of the early twentieth century, donated by J. Van Lindley, a prominent figure in the history of Greensboro. He was a Quaker whose business interests ranged from nurseries to sewer pipes to insurance to peach growing. He owned vast acreage along Spring Garden Street where he grew trees, shrubs and flowers for Lindley Nurseries. Damming the creek that flowed through a low-lying area formed a lake, which extended northward from Spring Garden Street to the current location of Walker Avenue. Lindley Park was probably Greensboro's first planned recreation completete. The recent controversey about the British army refusing to send Prince Harry to Iraq because of insurgent plots to kidnap him once he arrived, triggered a memory from long ago. In 1970 the high profile British mobster Ronald Kray was serving a life sentence for murder and is brother and the rest of the gang hatched a plot to get Ron out by kidnapping Edward Lindley Wood; the Queen's nephew who was about nine at the time. Their plan was to exchange the little Lord for Ron. Scotland yard uncovered the plot a very short time before Edward was to be abducted. The Queen, who is very fond of her nephew, was dismayed by the revelation of an alleged £50,000 extortion attempt. Edward's family is very grateful for the support of the Queen and other members of the Royal Family. 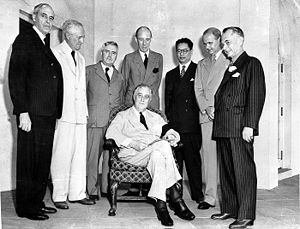 Edward was nicknamed The Holy Fox by Winston Churchill. In 1934 he inherited the title Viscount Halifax from his father. 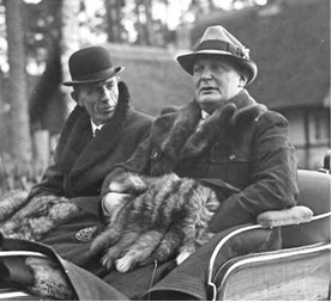 Lord Halifax with Hermann Goring at Schorfheide, Germany November 20, 1937.